You're not ready to launch to the top of Google until you have aligned your keyword targets. For online marketers seeking to tap the enormous market on Google and other major search engines, Web Video Launch makes it easier to precisely target information surfers. We do this through the use of well crafted titles and significant key phrases that are proven effective. 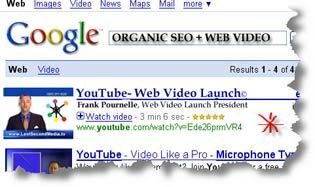 Web Video Launch uses multiple tools and online services to provide this specific type of tactical marketing support. Previously, clients used WordTracker, as well as the free and very popular Overture Keyword Suggestion Tool or the AdLabs keyword selector from MSN. None of these tools are readily available to the public today. However, private tools like this can offer valuable and immediate insight into identifying appropriate keywords and key phrases for Web Video campaigns. You can also use this target research for your own articles, blogs and page titles. By selecting a strategically strong set of keywords, Web Video Launch can make a huge difference in the traction and response your web video can bring back. Web Video Launch is expert at selecting these targeted keywords and keyword combinations for maximum impact of your launches. 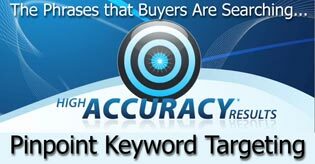 In general, we target keywords that deliver 500,000 to 10,000,000 monthly estimated searches for related terms. Typically, 100 keywords represent a million monthly searches in your category. To be clear, one and two key word phrases do not work. You have to trigger ranking on RELATED key terms or you get nowhere.